Happy Sunday scrappers. Sorry for the lateness of this awesome question and answer session with Lina of LDrag Designs. April is getting away from me. Lina was awesome to answer my questions. Let’s see what she had to say! I have been designing since 2008. It’s been 11 years and I can’t believe it!!! What made you decide to design? I used to be CT member but I always wanted to make things. So the owner of the shop I was CTing for loved my freebies for challenges and speed scraps and suggested I would apprentice as a designer for the shop!!! I immediately took this chance and loved it every step of the way! What do you use to create your designs (program, additional tools, etc.)? I mainly use Photoshop CS5, but I also use Artisan 4 for my Page files for the templates and Artrage for glitters. My office is now in my bedroom. Luckily, I have a big bedroom and I have a huge black glass desk, with two scanners, one big pc screen and a TV on it. I love watching TV while working. It helps me focus. Especially, my favourite series. Also, I have a big library with all my books and a printer. What motivates and inspires you as a designer? Basically what I love is colours. So I need vivid colours. If you take a look at my shop I am sure you are going to notice that I love vivid colours. That is why I search at Pinterest for photos that might inspire me. What is your favorite kit currently in your GS store and why? Difficult to choose I love them all, they are my babies. I especially love the collections I have made the last two years. I believe that I have reached a level I really love and that is why I love them all. But if I have to choose I would say Over The Rainbow. What can I say I love the colours. If you mean my other job, well I am an English teacher. This is what I have studied at the University. And I still work as a teacher. I live in Greece and not in the capital, therefore it is difficult to meet anyone famous. So unfortunately not. If you believe you can do it, then you can. What is something you want to do in the next year that you’ve never done before? A trip the the States. Especially New York. I always wanted to do it but it is really expensive. You have your own latenight talk show, who do you invite as your first guest? Sam Heughan. I think you can imagine why!!! I am really in love with this series. If you had to delete all but 3 apps from your smartphone, which ones would you keep? If you could have someone follow you around all the time, like a personal assistant, what would you have them do? Clean the house, cook and iron the clothes. Especially the last one is the worse for me!!! I hate it! Would you rather travel back in time to meet your ancestors or to the future to meet your descendants? I am not sure about the past. I would probably fear it. But I would love to see how my kids and grand-kids would end up! And how life in the future would be. What commercial jingle gets stuck in your head all the time. None as I rarely watch Live TV. I love Netflix. No commercials lol!!! If you could turn the ocean into a liquid other than water, which one would you pick? I don’t know really. Orange juice maybe? I don’t drink soft drinks like coke or lemonade or anything else, so I can’t think of which liquid to say. Thanks again to Lina for answering my questions. Make sure to check out her GS Store and her Facebook Fan Page. Are you grabbing the Daily Download this month? Here’s a sneak peek of what you will get. See you next month for another fabulous designer feature. Hi everyone!! Boy, March is flying by. Sorry this is a bit later than normal. I’m really not sure where the first half of the month went. This month we are talking with the fabulous Connie Prince. She took a few minutes out of her busy schedule and birthday celebration to answer a few of my questions. When I started designing there weren’t that many digital scrapbook stores or designers. I wanted to be able to create things to use in my own scrapbooks and it just took off from there. I design in Photoshop & Illustrator. I have an office / craft studio where I do my design work. I pull inspiration from pretty much everywhere! If I’m ever feeling stuck a visit to the craft or antique stores will usually get me going again. Cashier in a family owned grocery store. Yes, a few – my favorite was Newt Gingrich, I worked for him while in college. Instagram, Bank App, & Snapchat. All of my admin work! Past – I don’t know that I could handle knowing the future! What commercial jingle gets stuck in your head all the time? Make sure to check out her GS Store, her FB Fan Page, her blog, and her FB Group. And make sure you are picking up the Daily Download this month. 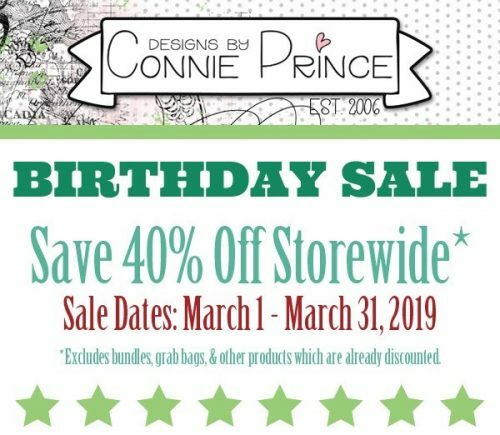 Also – her store is on sale all month. Happy December!! Can you believe we have less than two weeks until Christmas? This month our Featured Designers are Aprilisa Designs and Pixelily Designs. I was able to chat a bit with Lisa. Let’s see what fun stuff she shared with us. I started as freebie designer in 2009, and opened my very first store in 2010. I think I just love creating things. I’ve been doing printable things for my personal use years before I even knew there is this business called Digital Scrapbook, and a friend introduced me to it. And now I cannot stop. I am designing in Photoshop CC and draw in Corel Draw. It is just a small space, small table in my bed room, which is the center of all activities in our home. I use a laptop which is actually allow me to move around the house, but I never move from the table, LOL. My CT is my big helps in finding themes. Sometimes I have to work with colors that don’t inspired me at first. That’s when I throw them to my team, and they are the best! It always works really well, every time! 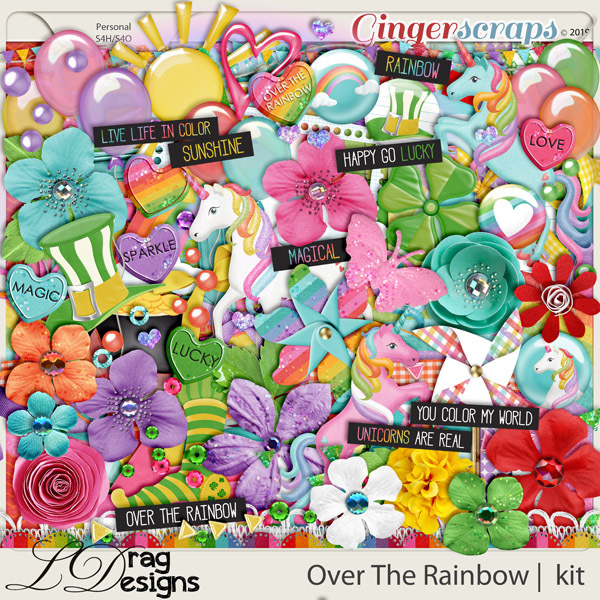 Best of Summer – Kit, I love the happy colors in it. Yes. One that was so memorable is when I met Hanson, when I was very young. I hope you remember them, LOL. Hmm, I haven’t thought about it yet, honestly, LOL. Michelle Obama? I just got her book Becoming, and can’t wait to start to read it. Thanks Lisa!! Make sure to check out her GS Store and her FB Fan Page. 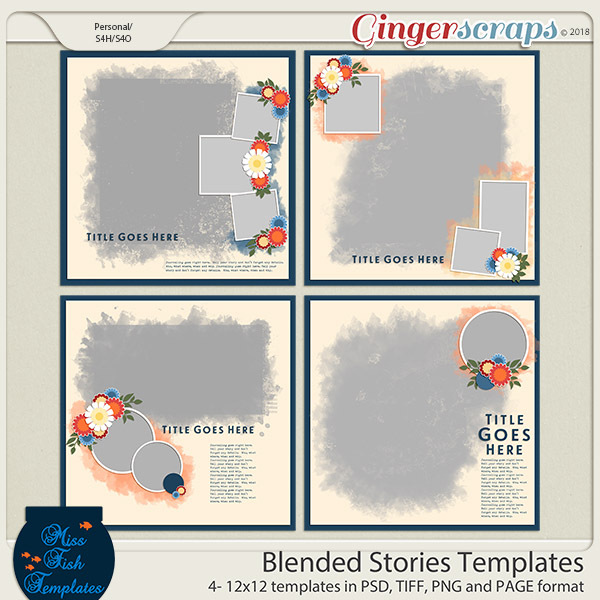 Make sure you are grabbing the daily download from the GingerScraps blog. Here’s a sneak peek at the kit she and Pixelily Designs collaborated on. Good morning. Today is the start of the November Bake Sale. November!!! This month is flying by. Looks like our designers have thrown in a lot of Fall and Thankful kits into the Bake Sale this month. 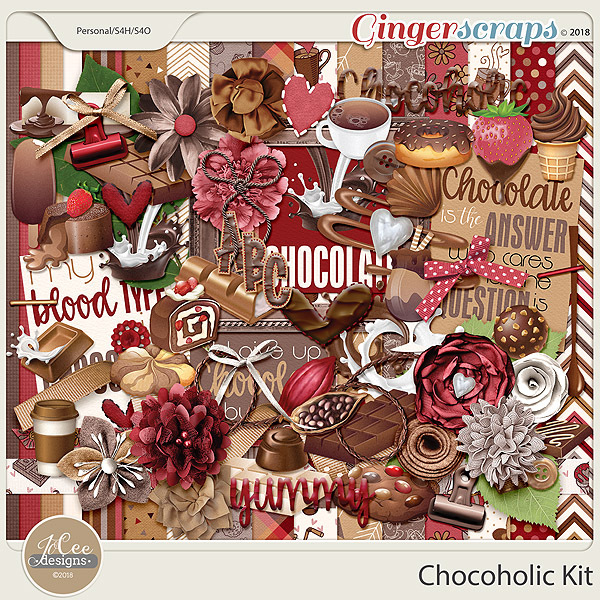 All kits and template packs are only $1.00 each through November 2oth. I know I see several things I need to grab for my stash. Head over to the store and grab these before the Bake Sale ends!! Welcome back to the second part of November’s Feature Designer post. Today we’re talking with the wonderful Jo from JoCee Designs. Jo is one of the fabulous designers at Gingerscraps that lives outside of the US. Jo is in Australia and getting ready for summer. Let’s just jump into it and see how she answered my questions. I started out as a Layout Artist at ScrapGirls and just loved it. I am a graphic designer by trade so it was a natural progression to move into designing. Mainly Photoshop with some Illustrator. We have a big room at the back of the house that is my office/cat playroom/tv room. I have my computer, printer and our son’s computer up against one wall and a view to the pool behind us. Firstly, colour, I LOVE colour and then, depending on the time of year, either a holiday in the month/season or something fun that will be a bit different. Working in a costume jewellery store in Sydney. The Seven Sisters set of books by Lucinda Riley. Do unto others as you want done unto you. The weather app cos I am a weather freak and need to know what it is going to do each day, WhatsApp, so I can keep in touch with friends and family and the one that keeps track of where my family is. Give me massages in my neck. My stress lives there and it can be most painful at times. oooh, hard one… ummm.. both but if I really had to choose… future to hopefully see that we did good when raising our kids. When we travel to the USA, we love the crazy adverts on the tv. When we were in LA in 2014 there was an ad that had the catch line… ‘cos pee happens’… we still use it to this day, lol!! Make sure to check out her store at Gingerscraps, her Facebook fan page and her Facebook group – JCee Designs Club. You just never know when she’s going to offer a mini kit or other fun things. If you check our her group before the 18th, you’ll find a coupon for 40% off her GS store. Here is the sneak peek of the kit she and Miss Fish Templates did together. Happy November to all my scrapping friends. Can you believe it’s this close to the end of the year and to the holiday season? I’m so excited to bring you TWO Feature Designer interviews for November. One now and another tomorrow. I wanted to give each of these fabulous ladies their own spotlight. Miss Fish Templates and JoCee Designs have teamed up this month to be our Feature Designers. Today I’ll talk to Juli of Miss Fish Templates. Let’s see her answers to my questions. I had been scrapping for 14 years. I wanted a way to make some extra money so I could afford to get my hair professionally colored. My digi friends suggested trying to make templates to make some extra money. I have smart friends!!! I use Photoshop CC. I doodle a lot while at meetings at my real life job. I work in our family room so I can be with my family and interact with them while I work. I have a gaming lap top hooked up to a double wide monitor that sits in our shelves next to the fireplace. Some times I take it on the road and work at Starbucks or in hotels while we are on vacation. I design templates based on what my CT and my customers want. I try to make products that people can use to get their memories scrapped faster, but at the same time offers plenty of room to be creative. I am inspired by other scrappers, trends in fashion and decorating and other designers. What is your favorite kit currently in your GS store? My first ever job was working in a nursing home at the front desk checking in guests and welcoming people. Do Disney characters count? I’ve met lots of those when my girls were younger. We had Disney passes. I don’t have time to read to be honest. I use all my non-work time to keep up my house and play games on my phone. Learn Adobe Illustrator. I’d like to learn how to make kits. Text messages (I have 2 teen age girls and couldn’t live without it), Starbucks, Target. Back in time to spend more time with my grandparents and my step-dad. Miss them so much!! Target – Stuck in the Middle campaign. Wine for sure. Thankfully I live near the beach so I could have a few glasses and watch the sun set. Thanks Juli – those were awesome answers. I’m not ashamed to admit I have a TON of her templates. I absolutely love them. I actually just used the template above last week. I love the blended look. Make sure to check out her store at Gingerscraps, her Facebook fan page and her Facebook group – The Fish Bowl. You just never know when she’s going to run a cool contest to give away some of her templates. Her store is also on sale for 40% off through November 18th. Here is the sneak peek of the kit she and JoCee did together. Make sure to come back tomorrow for my interview with JoCee Designs!! Checking in with you from the outer bands of (now) Tropical Storm Florence. We’re getting some wind here and have had a little rain, but we have a lot more rain coming. What a great day to stay in and shop in the Bake Sale. As always, each of these kits and template sets are just $1 each from today through the 20th. Let’s see what we can fill our cart with. Time to head over to the GingerScraps store and go shopping!!! It’s August Bake Sale time!! All these kits are available from today until August 20th for just $1 each. What a great variety of kits – from Summer to Back to School. Let’s see what our amazing designers have put in for the Bake Sale this month. Looks like it’s time to go shopping!! Head over to the Bake Sale page in the GS store and fill your cart!! I can’t believe it’s already Bake Sale time. Goodness 2018 is flying by. Let’s see what our designers are offering up this month. Remember these kits or template packs are $1 each through July 20. Head over to the store and grab these goodies. It’s time for the May Bake Sale. Wow – the year is just flying by. 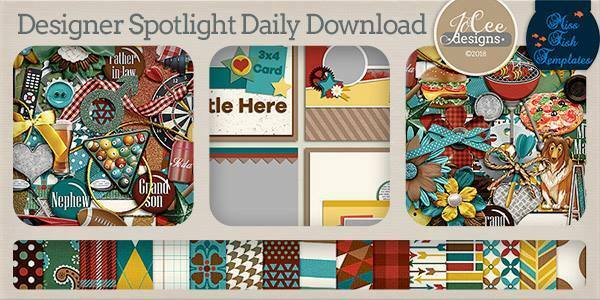 Each of these kits or template sets are on sale for $1 only from today (May 15) to May 20. Let’s see what goodies we have available this month! Can’t wait to see what you all create with the goodies.